Offload is a men’s mental fitness and wellbeing project run by RL Cares in partnership with State of Mind and the club foundations at Salford Red Devils, Warrington Wolves and Widnes Vikings. 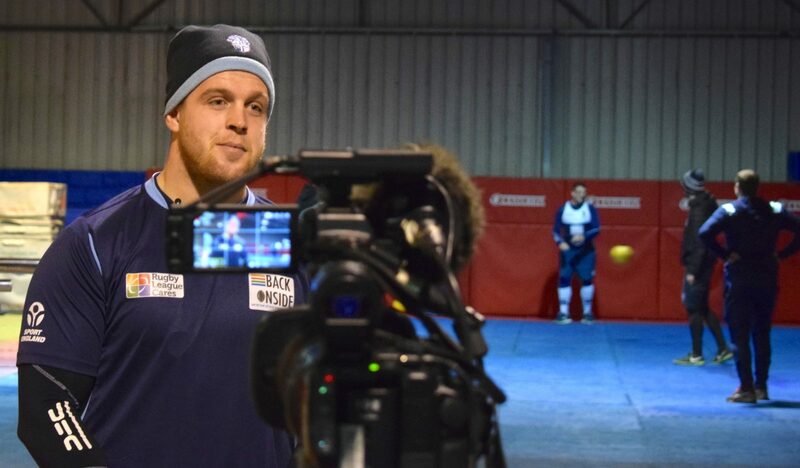 Funded by the Big Lottery, Offload is helping challenge how the sporting world tackles issues such as depression and anxiety, and is already receiving widespread acclaim for its work. Men are invited to come behind the scenes of their home team and find out how players, coaches and referees stay mentally strong as well as physically fit. Designed and delivered with the help of State of Mind and other agencies, Offload is open to all men aged 16 and over. Men meet & talk with current and former professional players to learn techniques that Rugby League clubs use to manage the mental and physical fitness of players. Mind offers information and advice to people with mental health problems and lobbies government and local authorities on their behalf. It also works to raise public awareness and understanding of issues relating to mental health, as well as provide resources and support to anyone who is seeking more information on theirs, or someone else’s mental health. Moodbeam is built on the unfortunate truth that whilst we feel it is so important to look after our wellbeing, it’s hard to capture, tough to talk about and often invisible. Inspired by a mum’s desire to know how her daughter was feeling when she wasn’t with her, Moodbeam was created with the ambition to transform the way the world sees mood, by making it easier to understand and talk about how we feel.